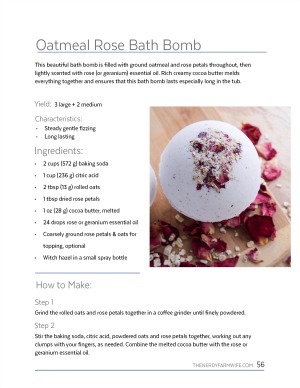 Bath bombs are so much fun to make and give, but there’s a learning curve to figuring out how to get them just right. 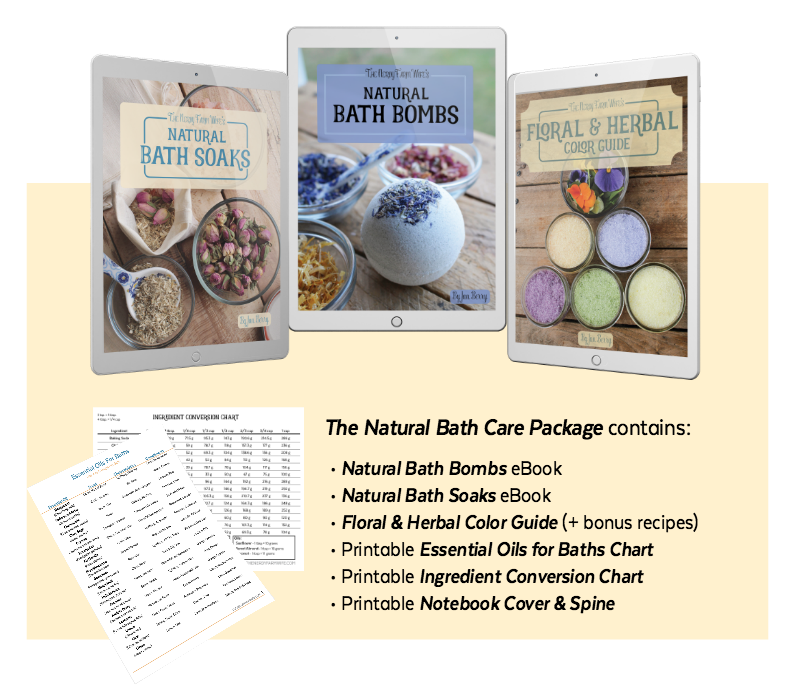 In the Natural Bath Bombs eBook, I share tips and recipes, along with basic formulas to use to design your own bath bomb recipes. 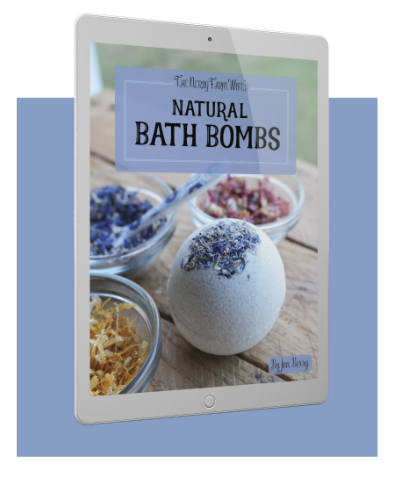 We’ll talk about how bath bombs work, natural colorant options, essential oils, herbal additives & more! 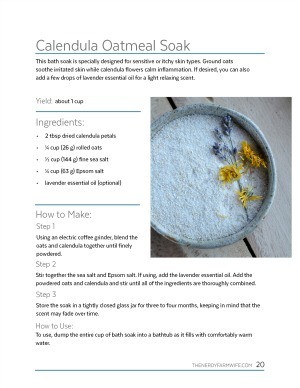 I’ve also created a set of companion eBooks and printables loaded with more natural bath care recipes and reference charts, plus a guide that dives deeper into incorporating fresh herbs and flowers into salt, sugar and scrub recipes. 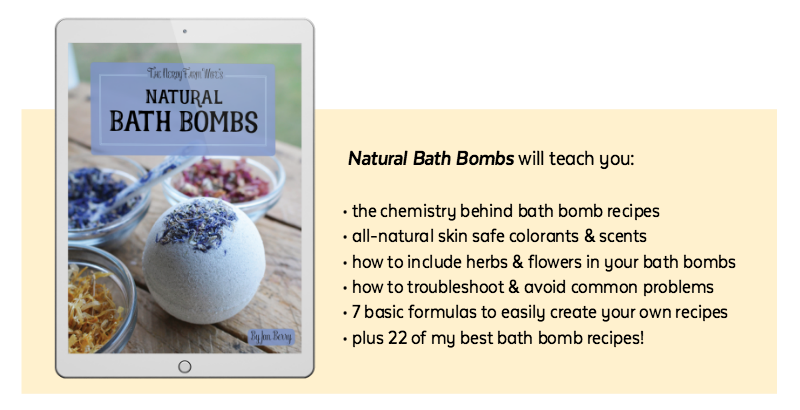 Provides the basics of creating all natural bath bombs, along with 7 basic formulas + 22 other recipes. 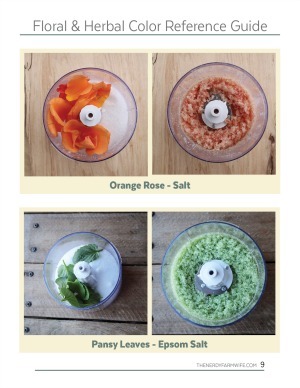 All of the know-how you need to create beautiful natural bath bombs, soaks and salts. Are these eBooks available in print? No, this is a digital product only. Do these recipes contain polysorbate 80, SLS, SLSA, food coloring and/or borax? No, they sure don't! The recipes do contain baking soda and non GMO citric acid, along with a variety of salts, oils, butters, herbs, flowers and clays. 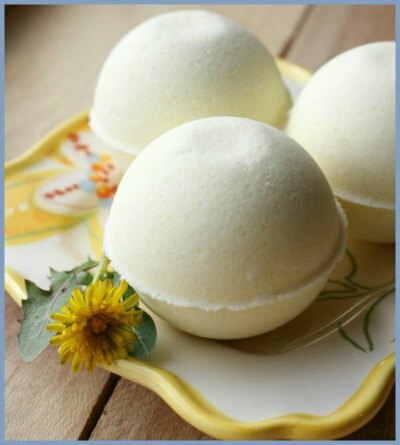 A few of the bath bomb recipes (2 basic formulas + 5 other recipes) call for arrowroot (or cornstarch, if you prefer), but the majority do not contain that either. When will I get my download link? Immediately after purchase, a link to download the ebook or bath package zip file should appear on your screen. You'll also get a followup email from me saying thanks for your order; it will also have a link to the file(s) in case you need it. If you don't get this email (and it's not in your spam, trash or junk folder) within an hour or two - please contact me right away at hello @ thenerdyfarmwife.com so I can get your purchase to you in a timely manner. If you ever lose the download link or it expires, just let me know and I'm happy to send you a new one. How can I read PDF files on my Kindle? You will need to email the PDF file to your Kindle device. Each Kindle has a unique email address associated with it. To know what yours is, go to Amazon.com --> Your Account --> Digital Content --> Manage Your Content & Devices. Next, click the "Your Devices" tab and you'll see all of the devices associated with your account. Each one will have a unique email. Send an email to your @kindle.com address with the PDF file as an attachment. It should soon after be available in your Kindle library. How can I read PDF files on my iPad? PDF files can be opened with the free apps iBooks or Adobe Reader. My download link won't open correctly. What should I do? Every so often a little hiccup in the system happens, especially with mobile devices. When all else fails, it usually works for me to send the files as email attachments. If you're having trouble with your download and would like to try this method, just shoot me an email to hello @ thenerdyfarmwife.com and I'm happy to help! Please note that I'm not able to be on the computer 24/7 so thank you for understanding that it sometimes takes a few hours to answer your emails. Please note this a digital product that you download to your computer, tablet or other digital device to view. No physical items will be shipped to you.